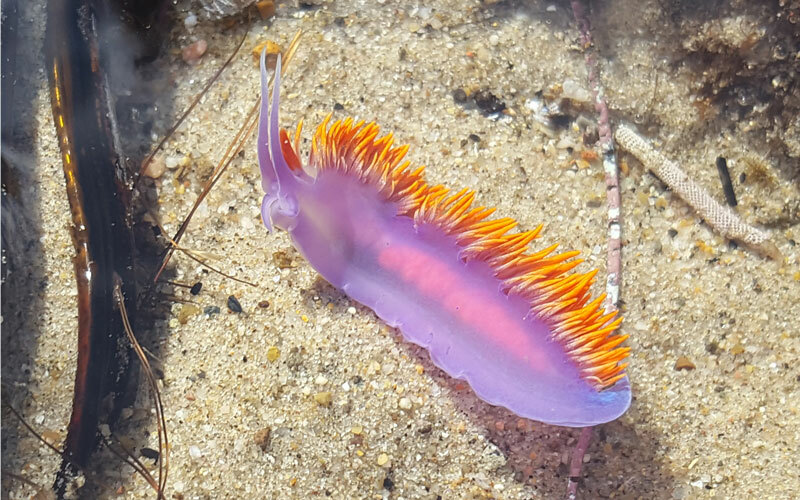 BREAKING: This is the Best Time of Year to Go Tidepooling in L.A.
Fash urges visitors to take their time exploring the tide pools. “If you sit and stare long enough, you’ll see all kinds of other animals that are often slower, things like snails, and a beautiful animal called the sea hare, which is related to a marine snail, but lacks a shell.” To protect the animals, always watch where you step, and leave everything where you find it. Important: Check the tide chart before you go. The best time is during a low tide with a negative number. Fash says any time of the year is good, as long as the tide is low enough, but in the winter months we tend to get lower low tides, and the beaches are less crowded. 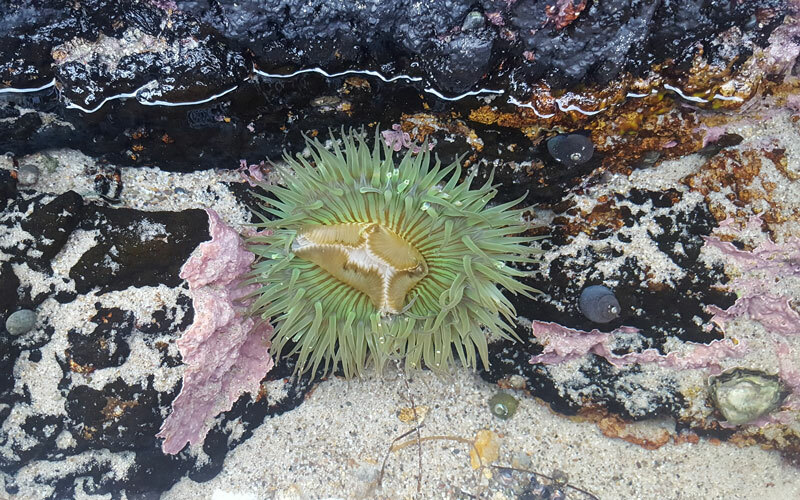 The rugged shoreline at Leo Carrillo is fun to explore, and not just for the sea stars, anemones, and other creatures you’ll spot in the rocky intertidal zone. Wet rocks are always slippery, but this area is relatively safe, and includes coastal caves and a sandy beach. The park is open from 8 AM to 10 PM. Parking is $3/hour or $12/day. El Matador Beach is part of Robert H. Meyer Memorial State Park. A parking lot above the beach has picnic tables with a view of the ocean. To get down to the water, follow the steep dirt trail and descend the stairs. In addition to sparkling tide pools, this small beach features rock columns, arches, and sea caves. Open from 8 AM to sunset. 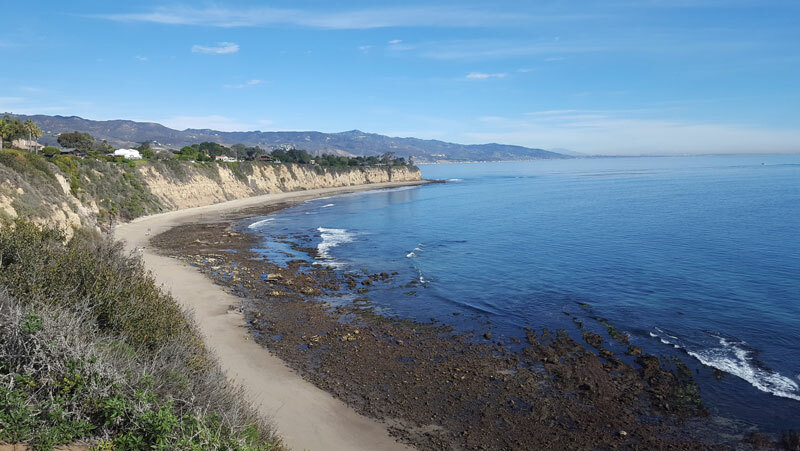 Point Dume stretches out into the ocean at the north end of Santa Monica Bay, so its hiking trails offer impressive panoramic views. From the parking lot by the sandy beach ($8/day), follow the trails up and over the bluffs, and go down the rusty metal stairs to get to the tide pools. In addition to marine life, you’ll see seabirds that roost in the volcanic rock cliffs. Open from sunrise to sunset. The tide pools at White Point / Royal Palms beach are easily accessible and perfect for a family outing. This secluded beach area is located beneath the bluffs of White Point Park. In addition to plentiful marine life, including hermit crabs and sea urchins, expect to see a few cats—the area is home to a feral cat colony. Beach-adjacent parking is $8/day. 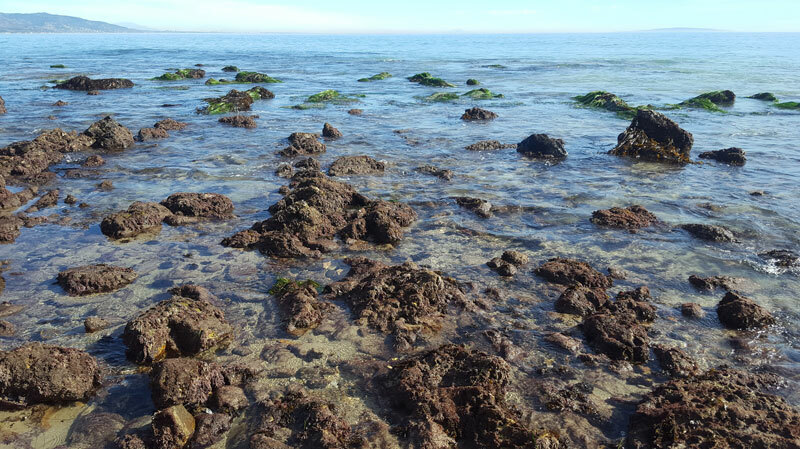 Crystal Cove State Park includes several tide pool areas, and Pelican Point is a great place to start. Use the entrance across from where Newport Coast Drive hits the PCH, and park in one of the bluff top lots for easy access to the beach. Want help identifying the sea creatures you see? 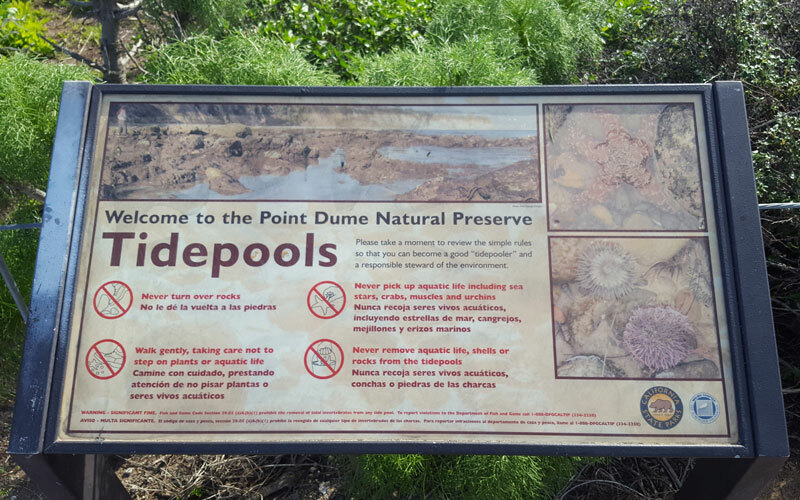 Check the park calendar for volunteer-led tide pool walks. Open from 6 AM to sunset. Parking is $15/day. This small, secluded beach is part of the Laguna Beach State Marine Reserve. When the tide is low, visitors will discover colorful plants and animals in the rocky areas on either end of the beach. Access is via a stairway located where Fairview Street hits Cliff Drive. This is a residential neighborhood, and offers limited street parking.